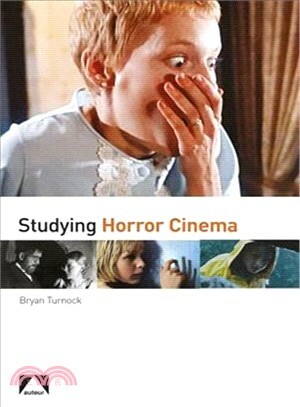 Aimed at teachers and students new to the subject, Studying Horror Cinema is a comprehensive survey of the genre from silent cinema to its twenty-first century resurgence. Structured as a series of thirteen case studies of easily accessible films, it covers the historical, production, and cultural context of each film, together with detailed textual analysis of key sequences. Sitting alongside such acknowledged classics as Psycho and Rosemary’s Baby are analyses of influential non-English language films such as Kwaidan, Bay of Blood, and Let the Right One In. The author concludes with a chapter on 2017’s blockbuster It, the most financially successful horror film of all time, making Studying Horror Cinema the most up-to-date overview of the genre available. Bryan Turnock has an MA in film studies from Sheffield Hallam University, UK, and is a freelance writer currently based in Australia. A lifelong horror fan, this is his first book.